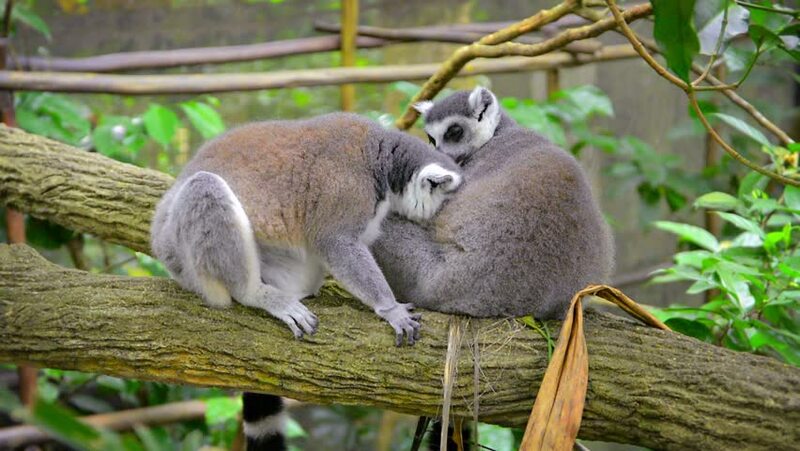 Video 1080p - Pair of ring-tailed-lemurs. enthusiastically licking and grooming each other while sitting on a tree branch in their habitat enclosure at the zoo. hd00:16funny animals. Koala bear on Eucalyptus tree. hd00:11Cute Australian Koala in a tree resting during the day.